Indonesia is famous for its high quality and uniquely flavoured cigars. Most Indonesian cigars are made using the Besuki TBN shade-grown leaf that gives the cigars their distinctive flavour and look. The Indonesian plants are grown from the Sumatran seed which has a full flavour that allows producers to emphasize the filler. 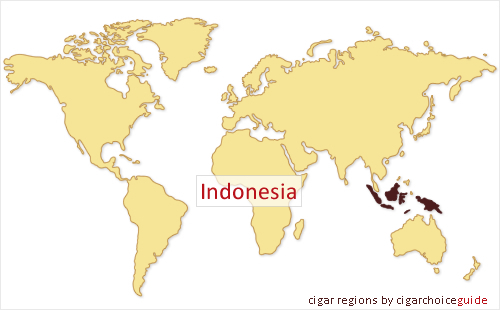 Most Indonesian cigars are small and therefore easily recognisable.